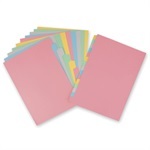 Rainbow tab dividers in A4 size made from high quality card backed by our Price Beat Guarantee. Or let us you save time and hassle by punching two or four holes for you to slot tabs quickly into standard ring binders or lever arch files. 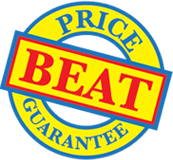 Simply click on the product codes for two or four hole punching below, enter the number of boxes you want punched and the charge will be added to your basket. A3 tabs are landscape style.